Acing Professional Responsibility provides a dual benefit to law students who, to become licensed lawyers, have to pass both a law school exam in a Legal Ethics course as well as the Multistate Professional Responsibility Examination (MPRE). To prepare for the law school examination, there are pages of text, numerous outlines, bullet points, sample essay questions and answers, and mini-checklists to learn the basics and fine points of Professional Responsibility. 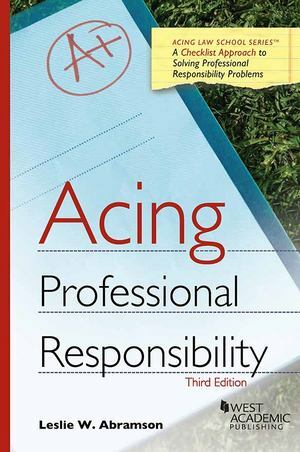 The Acing book also enables students to quickly recall and pass the MPRE. The materials are current through the Model Rules changes in 2016.